Providing Business Solutions for your business to Succeed - Responsive Website, E-commerce Websites & also Software Development. With rapidly growing mobile user base our teams are experts in building Android Google Play & IOS Apple store Application Development with SEO & Digital Marketing as a supporting pillar for your Marketing needs. Our team of experts strategizes to challenge assumptions and overhaul business plan such that we understand why your idea will makes sense and why it’s going to be successful and why anyone would care about it. We work hand-in-hand with our clients, we understand the concept and improvise it with everything we know about mobile, about business, about what will and will not work so that your ideas are transformed into actual products. As we all agree on the working direction, our team does a wire framing, a few hours in design, and days or even weeks in development. The Delivery report is the complete written description of how your app is going to work. This report is the source for use of our designers to come up with designs and our developers use as a guideline for coding. It is also the foundation for all the steps to come. To be a popular application in Android Play or IOS App Store you have to be branded well. Branded well means not only having the solid design but also to standout from a crowded marketplace we need a perfect design that will help your product standout. The design will be the first impression you will have with the user so design has to be perfect to make it count. Application functionality & how solid the app is built in coding is critical. But the first impression of your app is all about design. The look and feel of your application will set everything right. 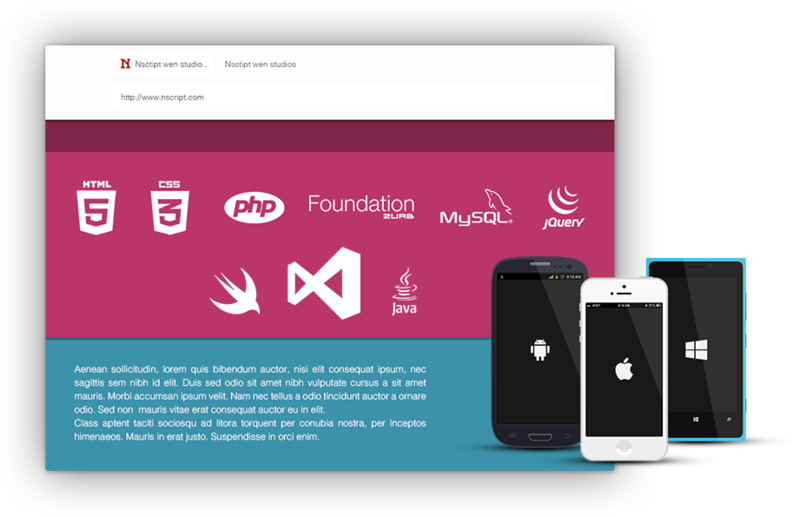 Our team has ample experience and they are well-trained to create a good application layout. Writing code is not just development; a perfect app is developed by selecting the correct architecture. During architecture phase specialists are selected according to their technologies. We’ll work closely with you to pinpoint the right look and feel for your online presence. We also comfort you by sharing the technologies that is going to be embedded in the application. Conducting periodic project status review meetings where progress and problems relevant to the project are discussed. Once the Application is ready, we launch it in the app store & Google play and the website goes live. We strive for results and quality assurance for growing our client’s brands by winning their customers affection. Developing & launching your application is no easy feat. Getting your app listed in store is just only half the battle. And when it comes to marketing, there is no fixed solution, so we have built a robust marketing setup in-house. While your app is in development, we will and finalize the marketing plans to achieve your goals. We offer maintenance packages that will cover everything from the occasional check-up all the way up to ongoing feature expansions and whole new versions. We don’t constrain or restrict our self to work only with certain businesses. We can help you at every step to create a strong online presence, which will make your business outstand ahead of the competition.